For the networking industry, 2018 was the year in which interest in software-defined wide area network (SD-WAN) started to ramp up in earnest, as more and more enterprises started to assess the benefits (and pitfalls) of the technology, and more early adopters started to make concrete purchasing decisions. For the uninitiated, an SD-WAN uses software-defined networking (SDN) technology to automate and prioritise traffic routing between distributed enterprise sites and datacentres, either by creating a transport-agnostic virtual overlay that sits on top of your preferred network infrastructure, or running as a network-as-a-service option. Centrally provisioned and controlled, SD-WAN technology is supposed to make life much easier for the IT department. That’s the theory, at any rate, but what’s the reality? 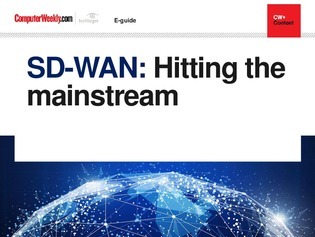 In this e-guide, our team of experts explore the current state of play in the SD-WAN market. As the technology moves towards the mainstream, Christian Annesley provides an overview, while Rene Millman looks at some of the supplier options for buyers. Moving on, we take a look at some of the misconceptions that still surround SD-WAN, and maybe explode a few myths, and of course as with any network deployment, there are security concerns to consider. Finally, we assess some aspects of migrating to SD-WAN from MPLS, first with a compare-and-contrast exercise, followed by a look at how to start a successful transition.